A small Island Boutique Resort offering stylish and luxury accommodation (children 12 years plus welcome). Gili Air Escape offers 6 Deluxe Traditional Bungalows all of which benefit from wonderful views of our private onsite swimming pool. 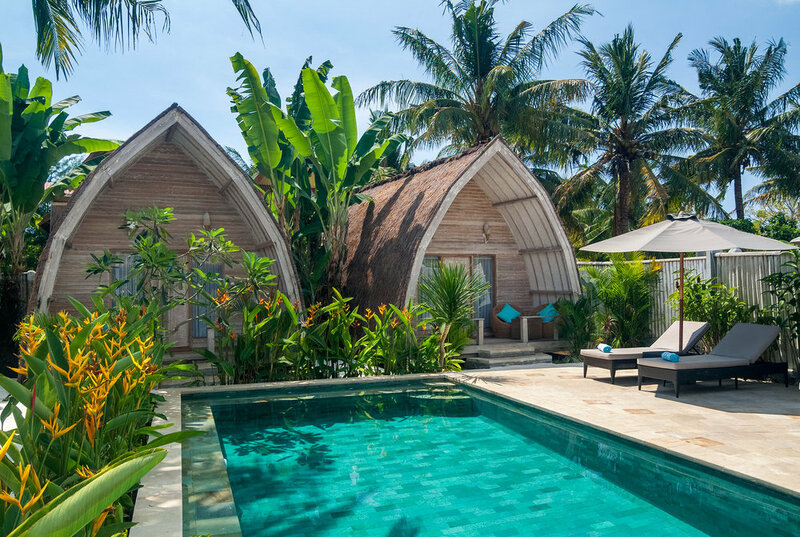 Situated just moments from crystal clear waters and white sandy beaches, Gili Air Escape is surrounded by lush tropical gardens, creating a peaceful island getaway experience. Guests at Gili Air Escape can enjoy all the modern day facilities our accommodation has to offer, including - Large private onsite swimming pool (guests only), Air Conditioning in all rooms, Free Wifi, Satellite TV, Mini Bar, Hot/Fresh water showers (solar), daily room refreshment and daily breakfast which can be served on your private terrace.